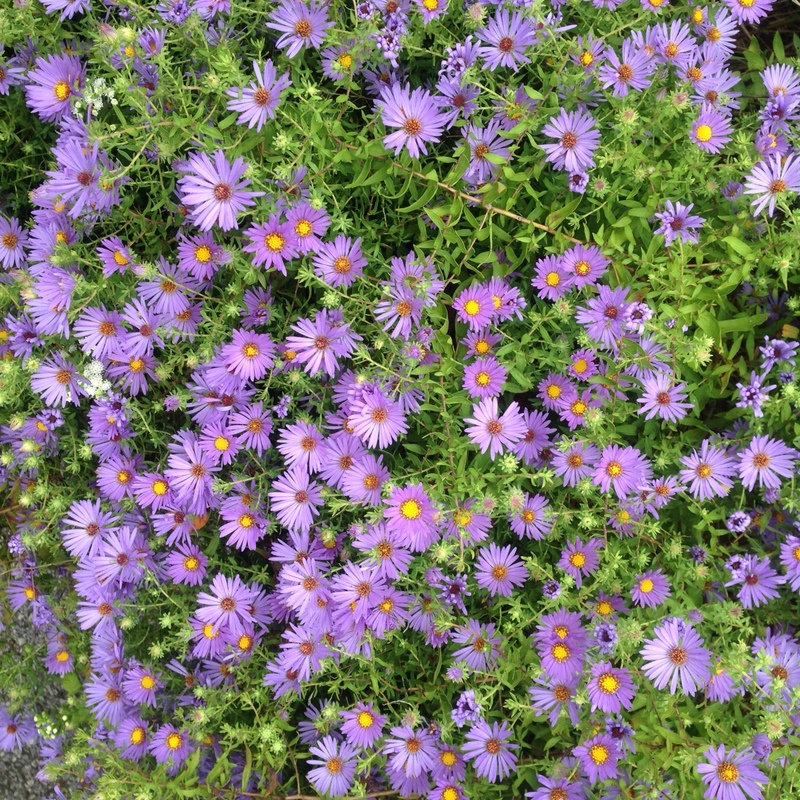 This is the time to see these Symphyotrichum asters. Above is a low-growing, smaller flowered version called “October Sky.” Here’s one of the bigger ones, both taller and larger-flowered. And there are still pollinators — bumblebees, honeybees, and some flies — working them over for the last of the nectar and pollen. 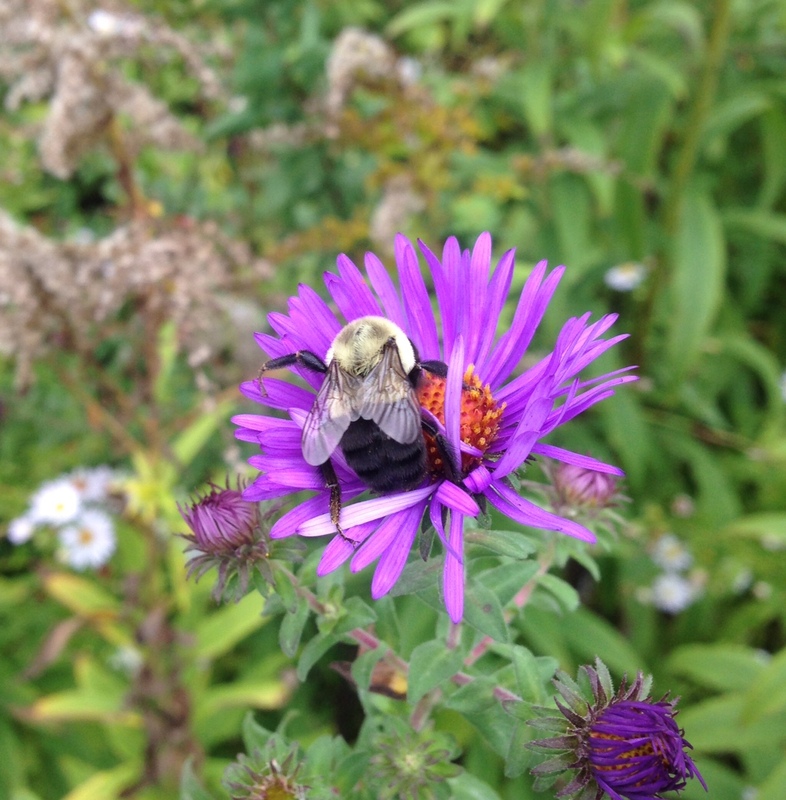 The bumblebees are slow and groggy. These were in the Native Flora Garden, but if you look you can see them all over. What a coincidence! I was walking through Central Park today snapping pictures of the different asters (purple and white) that were mixed in with swaths of white arrowroot and goldenrod!